The contactor / relay in a heat pump controls the power coming into a unit. 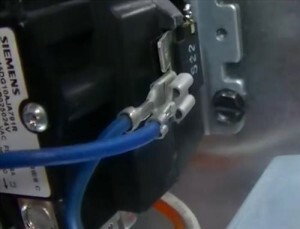 The main power is plugged onto one side from a breaker or disconnect, and the units blower motor, compressor, control board and everything else plug into the other side. When 24 volts is sent to the contactor a coil in the contactor creates a magnetic field that pulls it closed and sends power into the unit. Contactors come in three styles single pole, double pole, and triple pole. 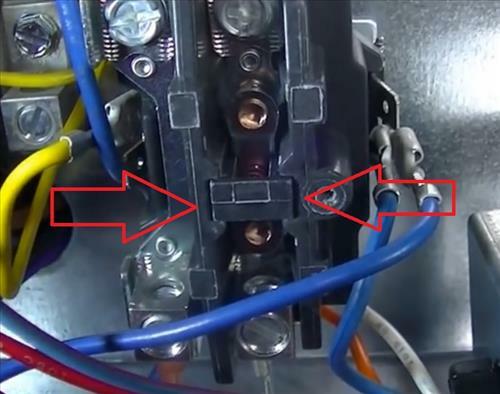 At the bottom is where the power comes in from a breaker or disconnect, labeled L1 and L2. 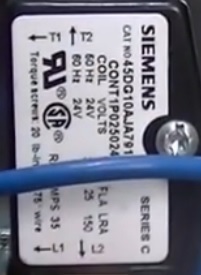 At the top the T1 an T2 is where the units components get power when the contactor closes. On the sides are a blue and yellow wires which is where the 24 volts comes in and will magnetize the coil in the contactor closing it. The 24 volts is activated by thermostat. The small plastic cover can be taken off to examine the contacts. The center can be pressed on to see how they are touching when pulled in by the coil. 1… Power down the unit at the disconnect or breaker. 2… Examine the wiring and write them down, note the L1, L2, T1 and T2 wires. Take pictures to refer back to if you can. 3… Remove the wires and remove the old contactor. 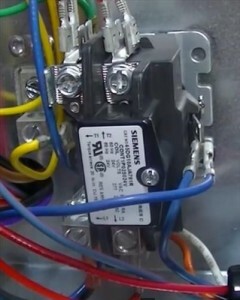 4… Install the new contactor. 5… Referring back to the pictures or notes taken plug back in the wires. 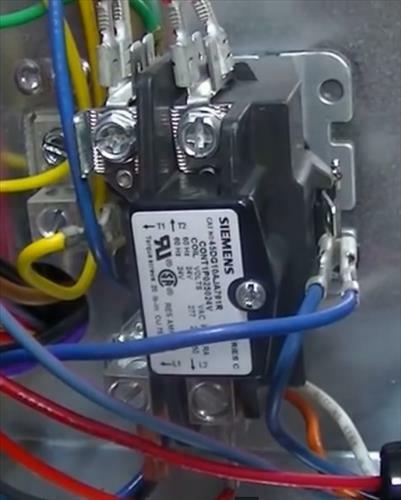 The above is a simple break down of what a contactor is and how to replace it. 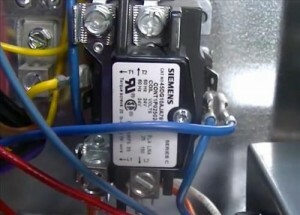 The same will also apply to a double pole and triple pole contactors/relays. Some units will have the 24 volts placed only on one side or in the front. While that is not common some units may have a slightly different layout. 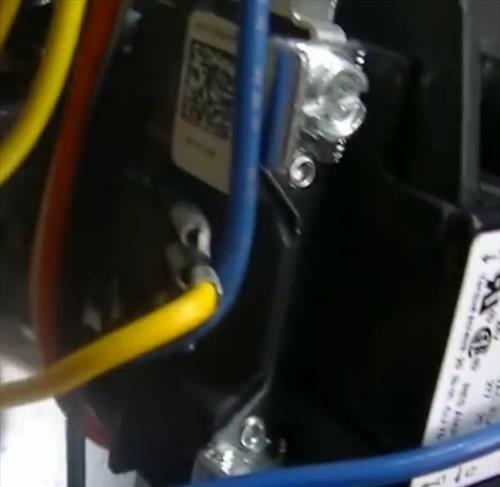 replacing a heat pump relay is a straight forward simple job as long as safety is taken into account such as tuning off the power. Putting the wires back correctly will be the only real concern but as long as pictures or notes are taken prior to removing the relay this should be a quick and easy job.